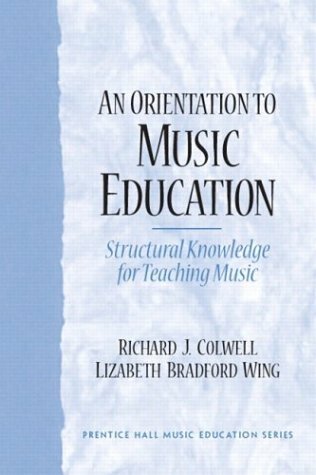 Appropriate as a supplemental text for all music education methods courses and a core text in music education curriculum. This text is intended to assist preservice and experienced teachers make thoughtful decisions regarding music teaching and learning that are essential to effective practice. It emphasizes contextual issues as well as matters specifically pertinent to the teaching of music in all school settings, and it provides the structural knowledge and seminal questions that need to be addressed in making good choices about what and how to teach in music.